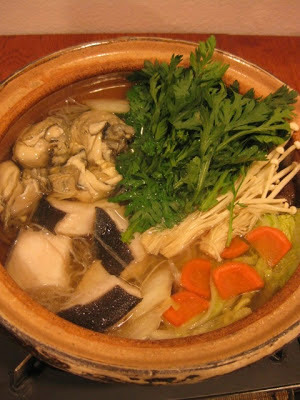 This is another type of hot pot dish which is all about "dashi" broth. 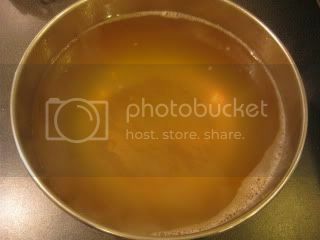 Once you make premium-quality dashi stock, it's a luxury to savor the purity of it without masking its flavor by too much seasoning. 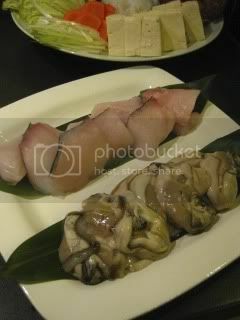 Also, for this dish, the main protein, black cod and oysters, add layers of umami flavors. 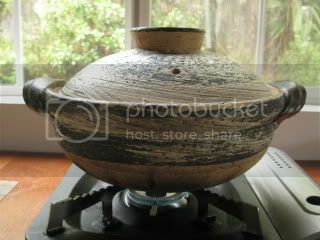 To prepare the broth for this dish, in medium-size classic-style donabe (I used "Hakeme" this time), I combine 1L of dashi stock (made by Rishiri kombu and freshly-shaved bonito flakes), 2T sake, 1T light color soy sauce ("usukuchi shoyu"), and 1tsp sea salt. That's really it. 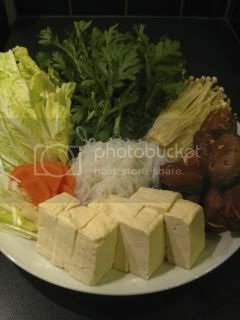 Get ready the ingredients to cook in the broth. 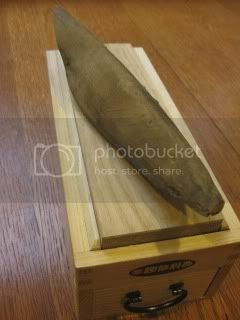 Black cod ("gindara") was seasoned with salt and pat-dried with paper towel after 30 minutes. Oysters were lightly massaged with some salt and potato starch ("katakuriko"), then rinsed and pat-dried. Other ingredients were cut into desired sizes. 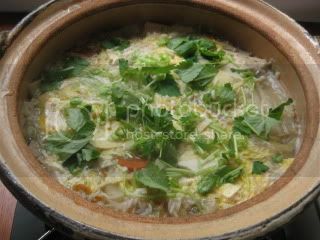 In the broth, bottom part of napa cabbage, shirataki noodles, and shiitake mushrooms were added and brought to simmer over medium-high heat. 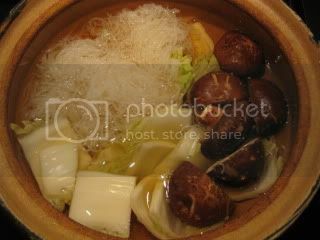 Once the napa cabbage is tender, the remaining ingredients, except for chrysanthemum leaves ("shungiku"), enoki mushrooms, and oysters were added. After a couple of minutes, all the rest of the ingredients were added and cooked for a minute or so (until the oysters were cooked through). The broth tasted like magical liquid, and all the ingredients were cooked to perfection. 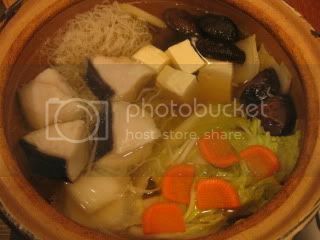 I love healthy simple donabe dish like this. I enjoyed the broth as is, and for the fish and vegetables, I topped with a little amount of yuzu kosho. The next day, with the leftover precious broth and some ingredients, yes, I made quick porridge ("ojiya"). 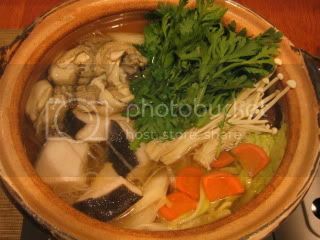 This might be the favorite part of doing hot pot for me, as the broth is infused with all the cooked ingredients and just so special. The process is really simple. 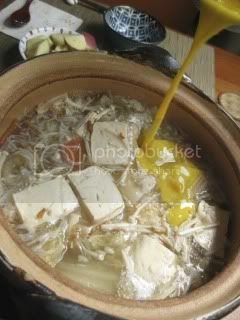 Just heat the broth in donabe, add the heated leftover rice, stir, and drizzle in a couple of whisked eggs. Cover, turn off the heat, and wait for 1-2 minutes. Garnish with chopped mitsuba herbs. Magical dish, indeed.